In the category of “things we’re happy to celebrate right now,” Alec Baldwin will be hosting Saturday Night Live for the 17th time, which makes him the new record holder for most times hosting the show. 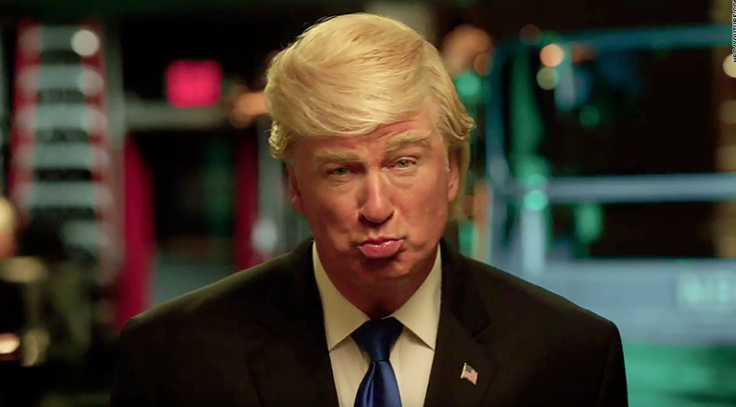 Obvi, Alec Baldwin has been allll over Saturday Night Live throughout the election, doing his impression of Donald Trump, but he’s only been on in the capacity of guest. This time, hosting gives him the kind of record we’d all kinda sorta kill to hold, like, HOW COOL IS THAT? Alec Baldwin will host on February 11th, so you should mark your calendars, and not just ’cause Ed Sheeran is the musical guest (although, heart eyes emoji). You should also mark it in your calendars because it means Alec Baldwin will, in all likelihood, be reprising his impression of the recently inaugurated Donald Trump. First of all this is important because it’s always delightful. If you’re in need of evidence, see below. Second of all, this is important because it’s likely to lead to yet another Tweetstorm on behalf of the leader of the free world at two in the morning. So, there’s that. President aside, we’re happy that Alec Baldwin is hitting this milestone. He’s brought many a Saturday Night of laughter to us over the years, and hey, people setting records is always exciting, y’know? It is most definitely a yuge achievement.